Hardly a week goes by without the industry discussing whether the future is social, with Facebook set to be leading the way. With more than 750 million active users, Facebook’s population exceeds that of the European Union*, making the Facebook platform increasingly attractive as an enterprising marketplace. With the recent launch of Facebook for Business, we can see this agenda-setting outlet positioning F-commerce as a player in the online retail market. 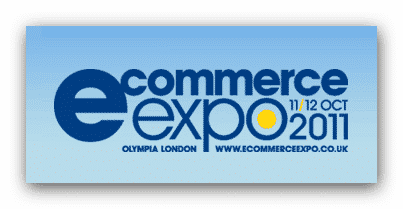 With an exclusive keynote on the ‘Social Design, Social Commerce’, the session at eCommerce Expo will give businesses an in depth consideration of the tools and techniques needed to capitalise on Facebook’s success and propel their brand into the digital age. And that’s not the only content at eCommerce Expo that will be driving the industry forward. Following the exciting launch of Google Wallet on Wednesday 21st September, Nic Cumisky, Senior Industry Manager from Google Mobile, will be giving a must-attend keynote, alongside others including PayPal and eBay. Plus, the show will host product launches from leading ecommerce service providers including ; Commidea, part of the Point Group and the UK’s leading managed service payment provider, who will be launching Vanguard, their revolutionary tailored ecommerce payment solution; PeopleVox, launching their Warehouse systems technology which aims to change the fulfilment industry as we know it; and Magento, launching their full ecommerce website system, Enterprise 1.11. eCommerce Expo 2011 won’t just host the discussion of the future of online business, it will host the creation of it. Over the past 11 years Britons have spent an estimated £300 billion shopping on the Internet and this trend looks set to continue, making an effective ecommerce strategy integral to any retail business’ success. With 12 keynotes, 50+ conference sessions and over 100 exhibitors educating attendees on business in the digital age, eCommerce Expo, the UK’s leading event for ecommerce, has seen its reach widen to the general business community. In this constantly evolving climate, businesses who fail to keep up, those that don’t become social, mobile and truly digital see their brand get left behind.